Ahrensburg, 16 January 2017 – The twelve new ace models from camera manufacturer Basler feature resolutions of 3.2 to 5 megapixels and have just launched into series production. The twelve new cameras deliver up to 120 frames per second, are available with the proven GigE or USB 3.0 interface and conform to the GigE Vision 2.0 or the USB3 Vision standard. The color models also include the PGI feature set, which consists of a unique combination of 5x5 debayering, color-anti-aliasing, denoising and improved sharpness. Equipped with the powerful IMX250, IMX252, IMX264 and IMX265 sensors from Sony's Pregius line, these models are suitable for a variety of applications — from factory automation and traffic monitoring to medical and microscopy applications. 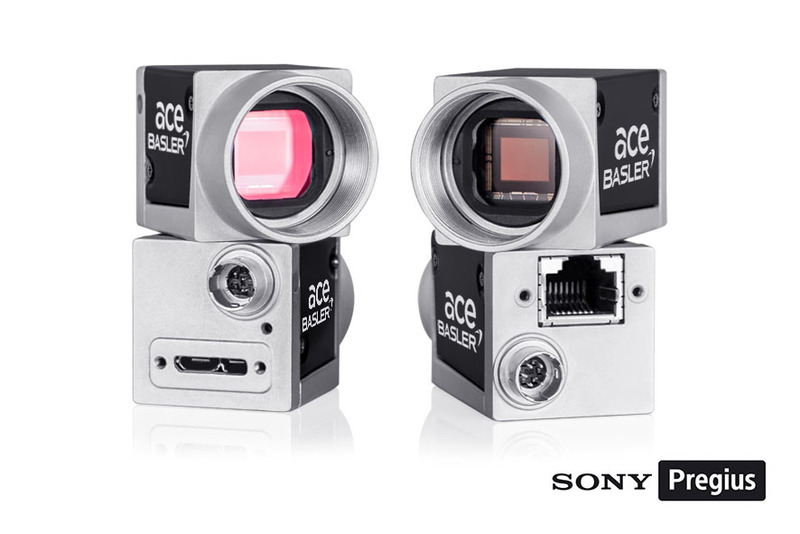 With their compact design, large and powerful CMOS sensors with the latest global shutter technology and an excellent price/performance ratio, the new ace cameras are perfectly suited as upgrade for older CCD systems. Thanks to standard interfaces and the use of 2/3" lenses, system costs can be kept low. Integration is simple and quick using the pylon Camera Software Suite from Basler.